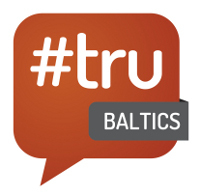 Today I attended #TruBaltics one of the Tru Conferences on recruitment. The Recruiting Unconferences are a series of pure unconferences organised worldwide, where the emphasis is on conversation, communication and the free exchange of ideas and experiences, (dis)organized by Bill Boorman. The driving forces behind this edition of Tru seemed to be Aki Kakko and Ruta Klyvyte. Mike Sandiford explained how in the UK people are declaring the job board dead. He is not sure he agrees: People go to job boards because they are looking for jobs. That is not necessarily the case for social. The most important thing is to find out where your target audience is spending time online. What is best really depends on what you are looking for and on the market. Whether you use job boards or more social tools like Facebook, Twitter, LinkedIn or Google+, you will always find that brand is of course an important part of your presence on job boards and in social media. One participant in the track argued strongly against using job boards at all. You don’t get much for what you pay for and you actually cast the net way too wide and then lose a lot of time in the screening process. According him the war for talent isn’t because there is scarcity of talent, but because there is too much talent and you have to spend time selecting the right person. There is company that has created a lot of training materials on how you use social tools in recruitment: Social Talent. There seems to be a permanent race to use the latest social tool. People discussed using things like Foursquare, Pinterest and even Spotify (if you are the Hard Rock cafe you could create a playlist and hire the people that like your playlist…, yes yes). Liena Ivanova and Darja Milova led this track which tried to answer whether companies should, can and will assess a candidate’s values during the interview process. We first discussed whether companies can have values (or whether only people can have values). We quickly talked about Edgar’s Schein‘s three levels of organizational culture: artifacts, values and assumptions. Of course we also discussed Zappos who seem to have managed to make their values part of their brand proposition (but are now themselves part of Amazon which seem to be pushing work practices in a terrible way). Don’t companies just get the candidates that they deserve? Or put another way: isn’t there a natural matc between the company’s values and those of the candidate? Isn’t the easiest intervention you can do when you want to have different candidates to change your company? How does diversity fit into this picture? Diversity is part of many company’s value statements, but we don’t seem to have an appetite for hiring people who hav different values than ours. The death of social recruitment. What’s the next big thing? Rihard Brigis wanted to discuss what new technology is coming up that actually works. We touched on things like workforce marketing, social referrals, cloud recruiting and the increase in the use of analytics. The latter can help you find people on the basis of what they do rather than on the basis of what they say. Tools like Knack It serve a similar purpose. There are few companies that claim to have interesting technology that helps the recruitment and that might be worth checking out. I will look into Jobscience, Bullhorn and Joberate. Joberate is developing a product that sounds very interesting. It is called “signal” and tries to find candidates that seem to be ready to change jobs and are thus ripe for the picking. This has obvious external applications, but could even be useful internally: who doesn’t want to know when is on the cusp of leaving? Read more about signal here. Another things that is happening more often is that companies organize events that manage to attract who don’t work for the company (think of a hackaton) and then let current employees decide who they like to hire from those events. It boils down to organizing things that expose people to you. I think that this is what the larger MOOC providers like Coursera will ultimately do. As a company don’t you want to know who are the top performers in certain courses? I actually think there must be a market for what I’ll name slow recruitment (or slow recruiting for SEO purposes): not using the latest online technology to continuously accelerate the sourcing and selection process, but take your time instead because you know that is just better. When I mentioned this in the track no eyes lit up (yet). Inna Ferdman and Irina Točko discussed an important recruitment topic: how “intimate” can you afford to be with your candidates. There is a trend in recruitment to build longer term relationships with candidates maybe even before they are ready to move. They used the metaphor of marriage to explore the topic. For me this topic is very much about what I’ll term the directionality of the hiring relationship. If I am a recruiter for a company that can find many people for a particular job, then I can afford not to have a relationship with the candidate. If a candidate’s skills are so rare that he can pick different employer (flipping the hiring process so to say), then it pays of to invest in a candidate. (A sidenote: I am toying with the idea of doing an RFI/RFP process for my own employment where I would put down my requirements and then let employers bid against each other, could be interesting). I don’t know this profession at all, so maybe somebody else can tell me whether the following is a feasible business model for a recruiter. Could you build very solid relationships with a group of very talented people that you then each place once every four years or so? How many people would need to be in your talent pool? Would it be less than Dunbar’s number? I guess that would depend on the field and how high the commissions are. 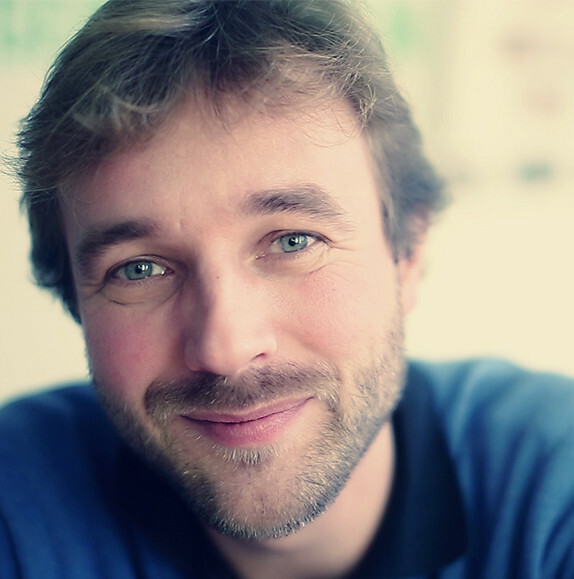 This track was led by Jacco Valkenburg from Recruit2 who is a LinkedIn recruitment guru. According to Jacco we’ve been building recruitment sites for the past 10 -15 years. He now believes that these websites are at the end of their product lifecycle. Mainly because the web is disappearing: people are checking Facebook in the morning, rather than visiting a website. He adviced everybody to move their whole recruitment site into Facebook. Facebook’s interactivity make it a great place to show what an interesting place to work you are. He showed how a company like Q-Park has created a Facebook page for recruiting. They follow their employees and then share what they share (if it is interesting) on their company page. Anybody who has read this blog before knows that I have some longstanding issues with Facebook. As a company I wouldn’t put all my eggs in the so-called free basket of a company that is notorious for changing their policies and their functionality at their whim. I also don’t find it decent to make your prospective employees (or even customers) pay with their data for the data and functionality that you are getting. I tried to argue these points in the session, but they seemed to fall to deaf ears mostly. The “dark side” of social technologies weren’t mentioned in any deep way during the day actually except for one fleeting reference to LinkedIn’s scary practices. Sitting in a circle without slides definitely leads to much better conversations. I wish more conferences had much larger parts of them organized in this way. The one things I did notice is that I have a hard time with the fact that it is perfectly normal to switch tracks mid-way. I personally can’t do it (I also finish books I dislike) and was distracted by people leaving mid-sentence. I do understand why allowing this is essential to making the format work. One other thing that was wonderful was how refreshingly non-commercial the whole thing was. You really had to put effort into finding out who worked for what vendor. Tru actually seems to have turned itself into a very active and connected community with all angles of recruitment covered. I will definitely attend another one. Everybody seemed to think that it is necessary to have recruiters (I guess that is what I would think if I was a recruiter myself), but doesn’t the technology disintermediate the recruiter? How is the profession changing in reaction? We didn’t have any solid discussions on this topic. What is a proper typology for recruitment? The directionality was barely ever addressed directly. What types of recruiters exist? There is a lot of talk about “employer brand”, but there was no talk about changing the company to attract different staff. If you want better people, shouldn’t just be a better place to work? Seems like common sense to me. Are we indeed moving from a discoverability problem to a selection problem? As always curious to hear your thoughts!